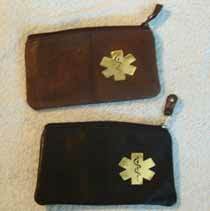 All Medical Alert Wallets, Medicine Wallets have a medical symbol on the outside. 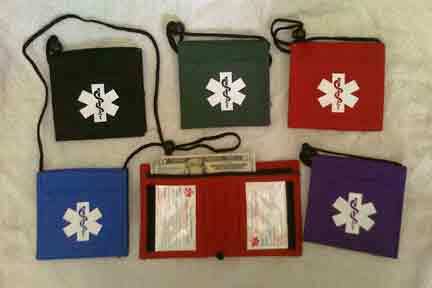 A variety for you to choose from, tri-fold medicine wallet, nylon neck wallets, a bi-fold neck wallet and a leather pouch. 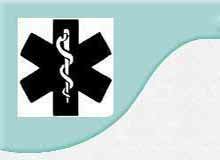 Easily take your medical information, your daily medical supplies and medications with you. Click on a picture or click on a word link to get more info.